What do you do when your cat brings in a live mouse? It seems to me that there are several options. And the options depend upon how things pan out and whether you fear or like mice. I like them. 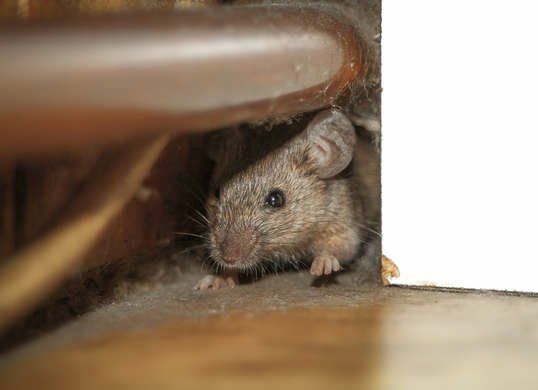 Mouse in the home. Photo in public domain. My cat will bring a mouse in and he won’t kill it immediately which is typical of domestic cats. This provides me with the opportunity to save the life of the mouse. However, it’s not easy to catch a mouse and then ensure that it is removed from the house to a safe place where your cat will not find it. Especially at 4 in the morning. If I can, I try and save the life of mice that my cat brings in. Just this morning I did it. It was about 4 AM as usual. I can tell when he brings a mouse in because he makes a certain sound which I presume is a call to me the say that he has brought a mouse in! I am not happy at that precise moment because I know I have a task to do and it’s a task I don’t relish. The mouse escaped underneath some furniture and by now (after years of experience) I can tell where a mouse will be hiding. I knew he was safe there so I carried on doing what I was doing and then when I was in the mood I put my cat into a place where he couldn’t get at the mouse, removed the piece of furniture under which the mouse had hidden and then with a towel in my hand I tried to place it over the mouse. I failed as he ran away quickly as mice do. Having chased the mouse across the room, I then managed to throw the towel over him and gently scrunched it up to carry him to the outside where I released him. I then allowed my cat back into the room. That’s how I save the lives of mice. It can be complicated, however. An alternative scenario is to simply let your cat get on with it and eat the mouse if he’s not been stupid enough to let it run under furniture where it becomes inaccessible. Sometimes cats bring in dead mice. Sometimes I have let my cat eat a dead mouse. I don’t think it’s a good idea to allow this because mice have worms inside them and if your cat eats a mouse he ingests parasitic worms. I therefore try and get the mouse off him if I am awake or in the mood. He may growl at me when I try this or he may run out of the house to protect his prey from me. He believes that I am trying to steal his mouse. I do give my cat deworming pills. I have to, of course. A further scenario is that if you are terrified of mice you simply run away and let your cat get on with it. But, as mentioned, they sometimes hide under furniture where you have to deal with them. You don’t want to leave them there for ever and a day until they starve to death and die. Or perhaps that is what you do and then you recover them after their death? I’d be pleased to hear from people as to how they deal with live mice being brought into the house by their cat. Home→Cat Behavior→hunting→What do you do when your cat brings in a live mouse? This entry was posted in hunting and tagged cat behavior, cat catching mice, cat hunting, cat prey, human to cat relationship, mouse by Michael Broad. Bookmark the permalink. if the mouse is still alive I try gently to get my cat to release it as I hold the mouses tail so it wont bite me then I release into the woods being my property to live another day. Reading this article made me relive many similar scenes at our house. We had mice getting in our basement until Jeff found and sealed the hole where they were getting in. Monty would bring them up and usually deposit them in the hallway outside our bedroom. Usually they were dead. If the mouse is not dead and gets away from him he usually cannot retrieve it. One of those mice my husband did get, but another was lost in our front room. Monty eventually got it several days later. It was in his mouth when I picked him up! Ugh! Usually Monty will not eat the mouse, he just licks it. Nothing like waking up to find a soggy dead mouse. But I am glad he was getting them because the traps we set remained empty. It was Monty who made our house mouse free and keeps it that way. I can’t imagine living without a cat who is a good mouser, especially when the weather gets cold and the mice start trying to get in. H Ruth. The trouble with my boy is that he brings them in live most often and I have the emotional struggle as to whether I save the mouse etc.. and then actually saving the mouse which is tricky. And all at 4 am. Of course he growls, you are a prey thief, a common mouse stealer, a miscreant. Generally, we let our mighty hunter get on with it. Experience (& a wildlife vet) have taught us that not many mice, rescued from feline jaws & paws, or clumsily caught by we humans, survive the shock for long. Sometimes, said hunter brings in a very live mouse & drops it at our feet. A large plastic bowl dropped over the mouse and manoeuvring some card under the bowl facilitates a less hands on rescue. Covering the bowl with a dark cloth can, in theory, reduce the mousie stress levels. We have also learned to take the mouse far beyond our enclosed garden, or it will get caught again. Our behaviour in favour of the mouse life, always disappoints mighty hunter. To him we are dense, lumbering apes with a pathetic deficit for learning. Last evening he brought in a live, seemingly unharmed frog, which was returned to its water garden home.